Book Clock. The Dog Collector. – Tilly Lane Treasures. Home / Book Clocks. 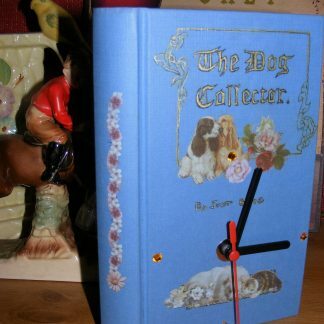 Clocks made from books. / Book Clock. 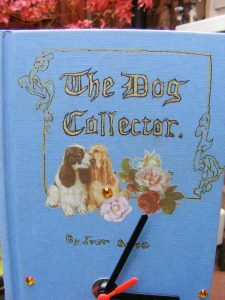 The Dog Collector. 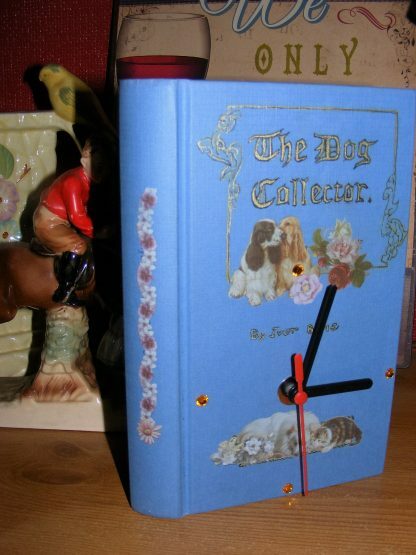 SKU: BK 154 Category: Book Clocks. Clocks made from books. 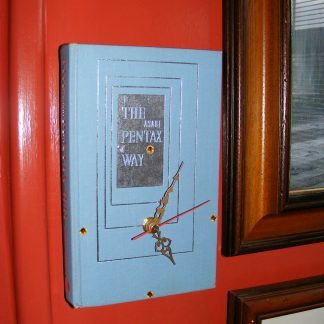 Handmade by me, this book is now a clock! 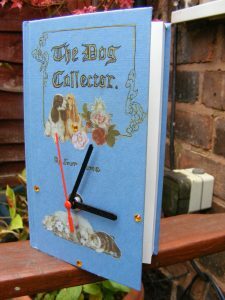 This is a reused book, so not brand new, and the clock has been put into the book Title The Dog Collector, by Ivor Bone ( see what i did there?) 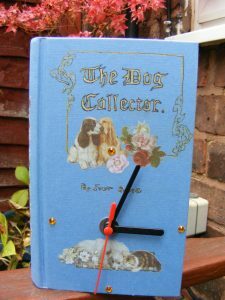 Shabby chic style, this is the ideal gift for the dog lover in your life! Battery operated clock, freestanding, just leave slightly open. 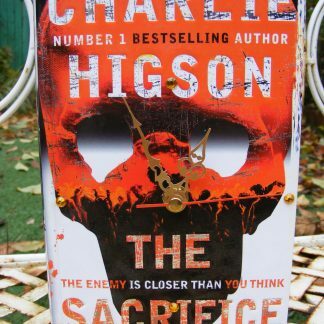 Measures just over 8″ tall, the cover is created by me, so no two will be exactly the same. 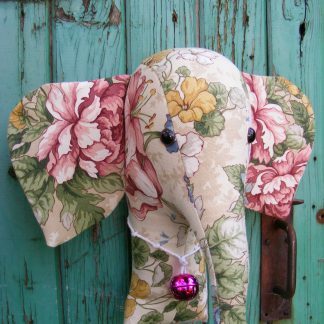 Fabulous Elephant trophy head figure, faux taxidermy fabric animal head. Shabby chic floral. Fake taxidermy. 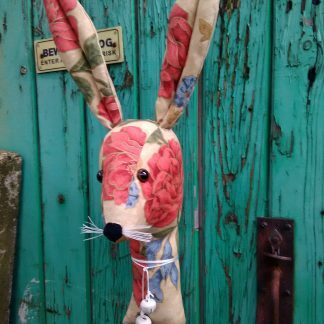 Fabric animal head. Rabbit, Hare.